Directed by Dan Gilroy. With Denzel Washington, Colin Farrell, Carmen Ejogo, Lynda Gravatt. 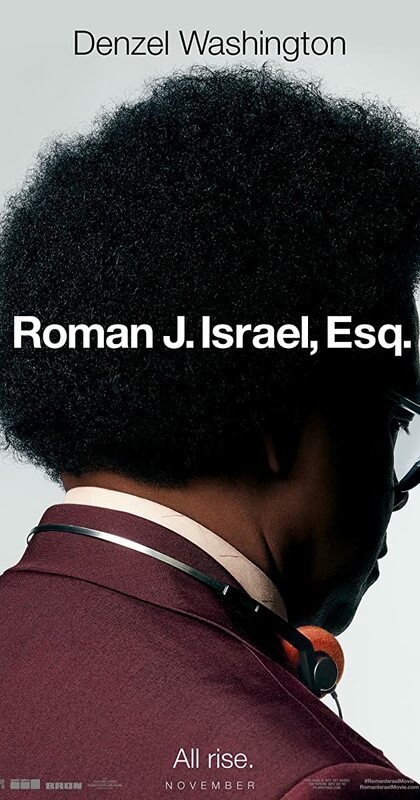 Roman J. Israel, Esq., a driven, idealistic defense attorney, finds himself in a tumultuous series of events that lead to a crisis and the necessity for extreme action.